Chocolate Pudding for Breakfast? Yes! These days my favourite breakfast is filling, comforting, balanced, and full of vitamins, minerals, fiber, and antioxidants. Oh, did I mention it’s CHOCOLATEY! Combine all ingredients and blend. The banana and chia seeds help to thicken this into a pudding. 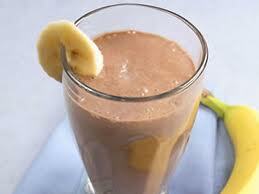 If you want a thinner smoothie reduce the amount or add more liquid (milk or water). Blueberries are a nice substitute for the banana. This entry was posted on January 18, 2012 by katelivingfull in Sweet Recipes and tagged almond milk, banana, breakfast, chia seeds, protein, raw cacao powder.